BUFFALO, N.Y. -- Over the years, Buffalo State has woven several diversity initiatives into the fabric of the campus. 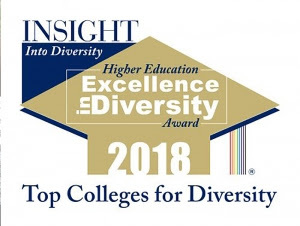 These efforts have garnered national recognition for the college, including, most recently, the Higher Education Excellence in Diversity (HEED) Award from INSIGHT Into Diversity magazine. This is the sixth time that Buffalo State has been named a HEED recipient.